Think of Gujarat and vibrant images flash across the mind… the exhilarating Garba, decorated camels in the great Rann and everyone clothed in colourful embroideries. 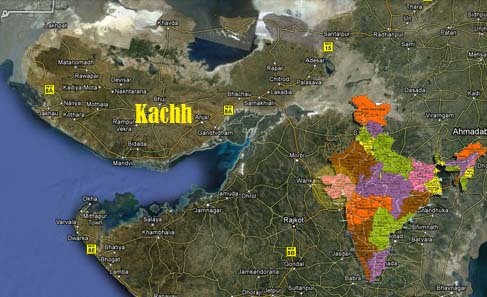 Gujarat can be called one of the biggest contributors to the image of India as a colourful country. 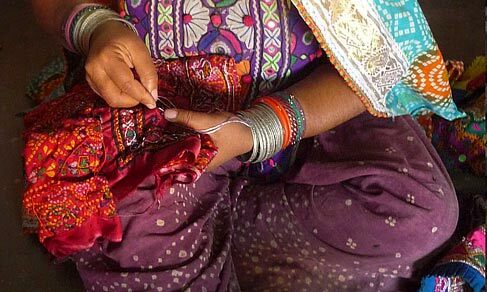 There are not one or two, but up to 16 different types of embroideries known in Gujarat, each belonging to a different community. 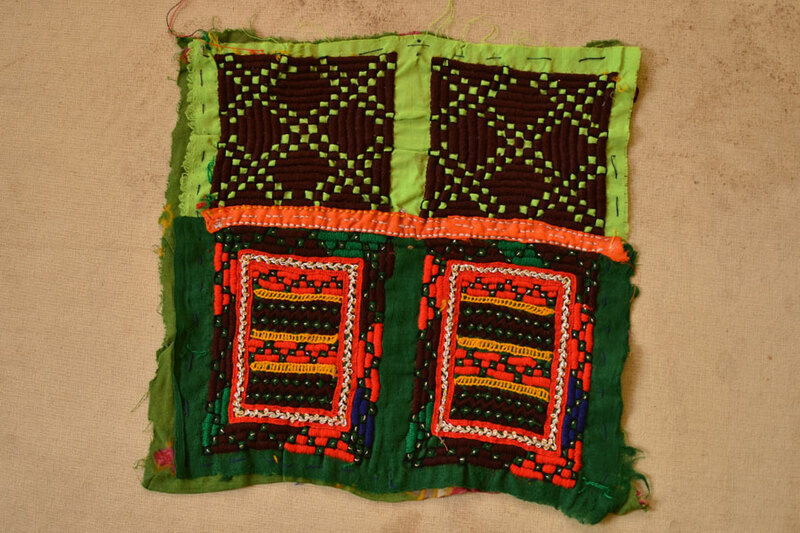 All of these communities have their own, unique style of embroidery, different motifs, patterns that give them a visual identity. 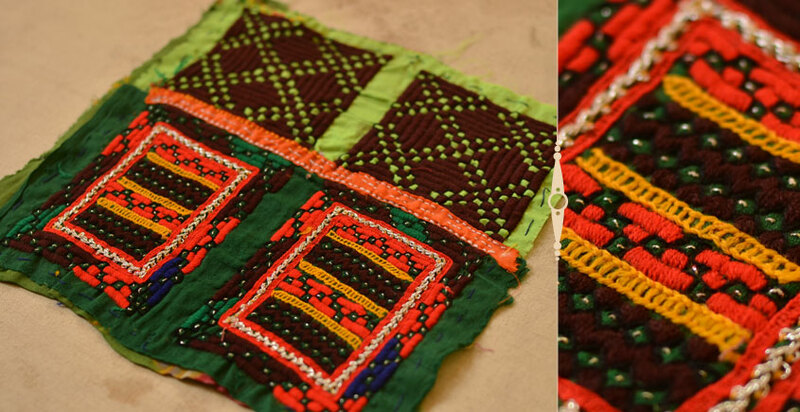 Even a person’s social status can be identified through the embroidery he or she wears. 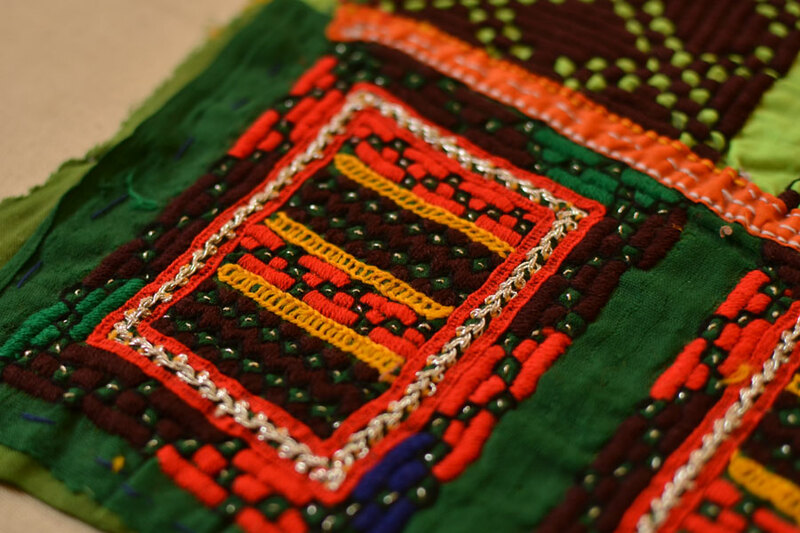 From the geometric Kharek to the intricate Suf and to the thorn bush inspired Rabari, the identity of every Kutchhi person is woven in the stitches of these embroideries. Things seen in daily lives; flowers and bushes, peacocks and camels, women doing household chores and men tending to cattle, all these are inspirations for these beautiful designs. 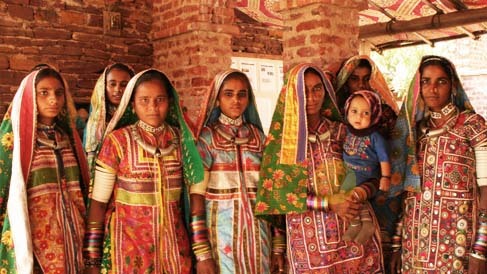 Kutchhi women embroider everything from garments to wall hangings, toran, bed covers, bags and even camel decorations. Mirror-work, which is a characteristic identity of Gujarat, is thought to be originated with the use of naturally occurring mica found in the deserts. It is used so much now that mirror glass is specially manufactured for this purpose in local towns such as Kapadvanj in Gujarat. Beautifully clashing colours, combinations that a trained designer would be apprehensive to use, are arranged in effortless harmony by the women, for whom embroidery is just another part of their daily chores. 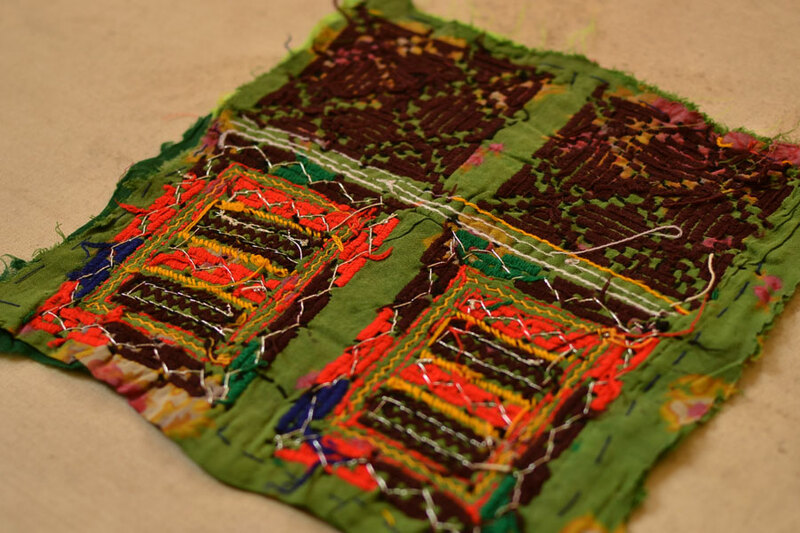 The women have been stitching their own garments and decorating them with embroideries for centuries and have mastered the skills of colour and compositions. Traditionally, embroideries were largely meant for personal use and dowry or gifts, but now these embroideries are bringing in colour and whimsy into our homogeneous mass produced urban marketplace. These intense, contrasting colours and reflective mirrors give a breath of life to the barren arid environment of Kutchh. To think of it, they also add a greatly needed spice to our cloned silhouettes existing in concrete mazes. Note The products in this category cannot be returned or exchanged. Made of Variety of fabrics quilted and embellished with regional embroidery, glass beads, sequins and mirror work. Note -These embroidery pieces are antiques, imperfections and variations cannot be deemed as defects, rather intrinsic to the product. 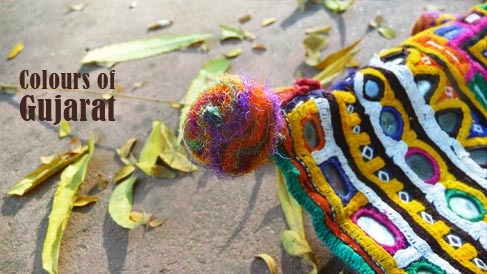 Think of Gujarat and vibrant images flash across the mind… the exhilarating Garba, deco..